Machine learning has the potential to have a meaningful conversation. Also, it has the ability to improve the customer service by lowering the cost. It will not be wrong to say that with the help of machine learning companies are able to personalize the customer experience. Customers can now have the really intelligent conversation which could be possible by algorithms, natural language, and customer service data. In the U.S, consumers prefer chatbots to humans for customer relations. The speech recognition feature is not new to us and has been around for a while. Speech recognition is that one thing that has become the necessity of human interactions with a computer. The chances of any error in speech recognition is almost zero in comparison to humans. The Google CLoud Speech API is trained to recognize over 80 languages with precision. People are using the technology for other uses as well. One of the Startups called Relative insight converts the language into the data. This helps in predicting the words which connect with the audience emotionally. Thus creating a good bond with the customers. 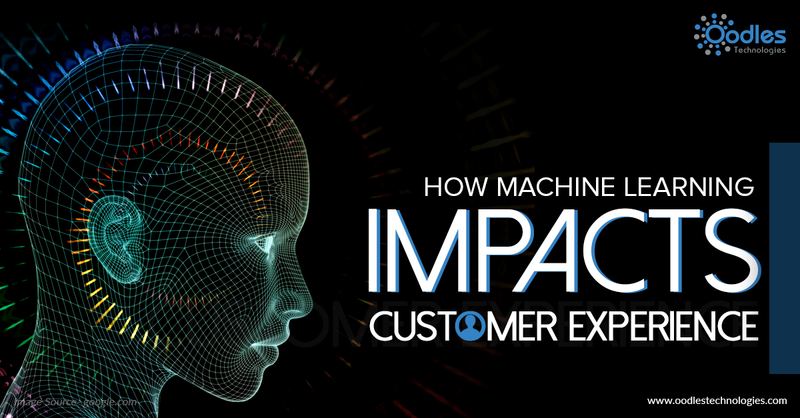 Machine learning has already become the buzz of the town due to many reasons. One of the main reason is its power of detecting everything which includes people, objects, images, data, and videos. Machine learning has the power to change any picture with too poor quality to look amazing. Improving the quality of digital assets is the full proof way to make an excellent relation with the customer. The machine learning has the ability to sense the fake identity by keeping a track on customer actions, data, transactions, and conversations. This helps the company to take further action and personalize the overall customer experience. With the growing population, the fraud is also increasing and we can see most of it happening in banks and other such industries. To eradicate all, machine learning is the only solution.